When most golfers think of a municipal course, thoughts of numerous bad lies, overly-simple layouts, and slow as molasses greens come to mind. 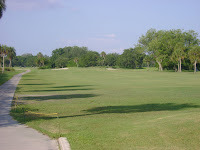 However, the Bobby Jones Golf Complex in Sarasota, Florida trashes the municipal golf course stereotyped, complemented by a history most courses in the state of Florida. 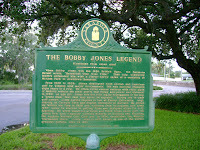 Bobby Jones, legendary amateur golfer, was also a legendary real estate agent of sorts within the Flori da market. With a famous name, potential buyers flocked to Jones, as those who have seen Bobby Jones: Stroke of Genius would remember. 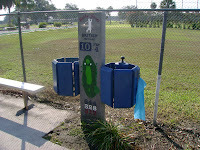 Having helped to populate the Sarasota/Bradenton area, the facility was built to commemorate Jones's Grand Slam. 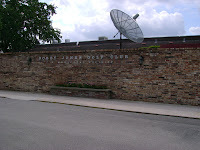 In fact, Jones personally dedicated the facility on February 13th, 1927. Of course, Jones did not design the course himself. Do nald Ross, designer of Pinehurst No. 2 and many other famous courses, had that honor. Additionally, a famous "young lad" from the area happens to still hold the scoring record: former Open champion Paul Azinger. The Complex features 45 holes: an 18 hole "American Course", an 18 hole "British Course", and a 9 hole Executive Course. Additionally, the course has a small rubber mat driving range and two practice putting greens. The British Course is split into two nines: St. Andrews and Hoylake. The front nine, "St. Andrews", commemorates Jones's British Amateur victory with Hoylake commemorating his British Open vi ctory the same year. The course itself has a very linksy style, flat, but with more trees than most links courses. The British was the Complex's original course, with the touches of Donald Ross still maintained. With most Ross designs, look for the numerous dome shaped greens. Also, the course features wide fairways, but with less water hazards than its sister American course. Golfers interested in taking on the British Course while in Sarasota can call (941) 365-GOLF(4653) or can make tee times online. During the off time of the year (May 1 through November 15), golfers can play either course with a cart for $26.00. The price during that time for afternoon rounds is $18.50. For the rest of the year, greens fees are $28.35 during the morning and $17.10 in the afternoon. Plus, the carts at Bobby Jones are equipped with a color GPS system with hole displays and yardage information. 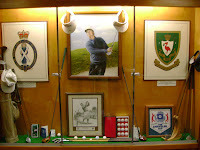 0 Response to "ZealousGolfer.com Course Reviews: Bobby Jones Golf Complex's British Course"